BONN, Germany, June 17, 2011 (ENS) – Climate talks over the past 10 days have made “clear advances on key issues” and identified issues that require “high-level political leadership” ahead of the United Nations’ annual climate summit in Durban in December, the UN’s top climate official said today. 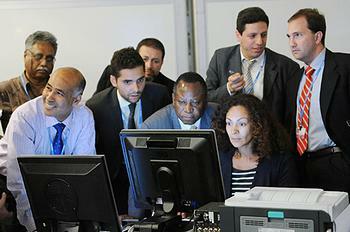 Environmental groups say progress in Bonn was “uneven” at best and “poisonous” at worst. 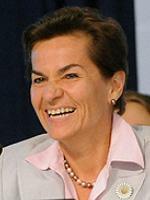 On the final day of the Bonn talks, Christiana Figueres, executive secretary of the UN Framework Convention on Climate Change, UNFCCC, said governments are realizing that the link between negotiations on mitigation under the UN Climate Change Convention and mitigation under the Kyoto Protocol must be addressed to reach a global solution. The Kyoto Protocol requires that 36 developed nations and the European Union reduce their greenhouse gas emissions by an average of five percent below 1990 levels by the end of December 2012, when the first commitment period ends. But Canada, Japan and Russia have all said they would not sign on to a second commitment period, and the world’s two largest greenhouse gas emitters – China and the United States – are not bound by the Kyoto Protocol. This leaves the European nations as the keystone nations upholding the protocol. 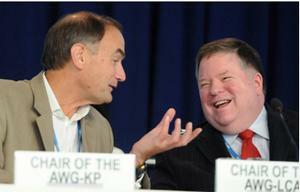 Figueres said the Kyoto Protocol remains “critically important” because it contains key rules to quantify and monitor efforts to reduce greenhouse gas emissions and important market-based mechanisms that enable cost-effective mitigation. Figueres said that the Bonn sessions have paved the way for progress in Durban on implementation of last year’s Cancun’s Agreements to support developing country actions on climate change. In Bonn, agreement emerged on how the Adaptation Committee will be governed, what its composition will be and what its specific role will be, she said, allowing this committee to be “fully operationalized” at Durban. In addition, Figueres said that progress was made on the Technology Mechanism that will boost global clean technology cooperation in the form of a Climate Technology Center and Network. Governments made progress on defining the centre and network and asked the UNFCCC secretariat to keep a record of stakeholders interested in participating. Figueres says this system could be operational after the UN’s 2012 climate summit. The Green Climate Fund, to which industralized nations pledged an annual contribution of US$100 billion by 2020, was discussed in Bonn. Figueres called the fund “the financial management center of the future climate regime.” The fund’s transitional committee has had two meetings, and a third meeting is set for Tokyo in July. Environmental groups say progress in Bonn has been blocked by industralized countries while developing countries are pushing for cuts in greenhouse gas emissions and funding to help them cope with a serious situation that they did not cause. “While progress is still uneven, parties have returned to constructive talks and have been moving forward step by step,” said Tasneem Essop, WWF delegation leader. “While we feel slightly more optimistic for a positive outcome in Durban, the process is so volatile that even progress on technical issues are often held hostage by fundamental political issues like the future of the Kyoto Protocol, equity and overall ambition,” Essop said. “If developed countries don’t increase their reduction targets to 40 percent by 2020 without offsets they are risking five degrees Celsius of warming and a planetary emergency,” Rehman said. “Blocking discussion of long-term finance is a serious blow to the already fragile negotiations and imperils the lives of those who are already suffering the devastating impacts of the climate crisis,” she said. “Perhaps the biggest contribution the US government could make to these talks would be to cut the carbon of sending people to negotiations who refuse to negotiate,” she said. 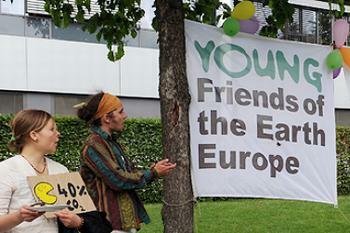 “Young Europeans are pushing the EU to take the lead again – to unblock the talks by agreeing to the second commitment period of the Kyoto Protocol and by raising their emission reduction target to at least 40 percent domestic cuts by 2020,” said Susanne Hammel, campaigning with “Push Europe” and Young Friends of the Earth Europe. “This week the Mexican government finally revealed the “new methodologies” they used to create the Cancun decision – it certainly wasn’t done by consulting countries – but instead was concocted in backrooms and put on the table as a take it or leave it offer,” said Michele Maynard, policy and advocacy officer of the Pan African Climate Justice Alliance. Further talks are planned before governments meet in Durban. A ministerial conference is planned for July 2-3 in Berlin, and ministers will also meet a month ahead of the Durban summit. In addition, South Africa is considering a third ministerial consultation this year. Additionally, the incoming South African presidency and the current Mexican presidency are planning to engage heads of state and government on the margins of the UN General Assembly in New York in September.